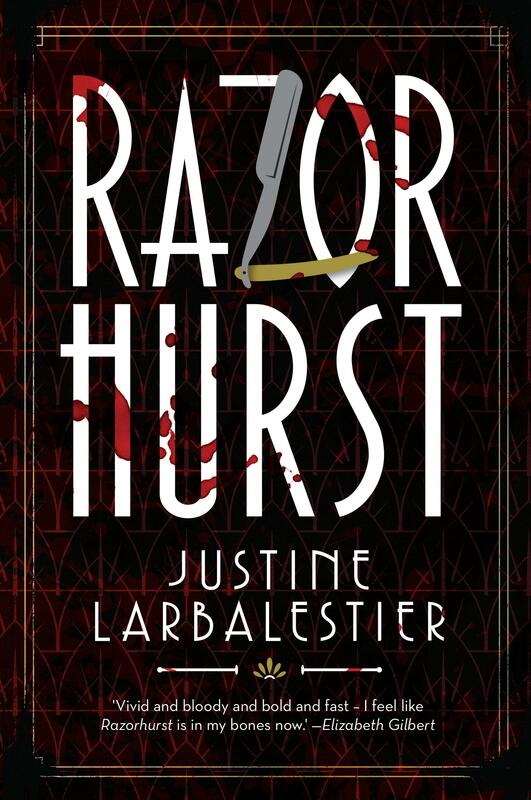 I wrote Razorhurst because I moved to the Sydney suburb of Surry Hills in late 2005 and fell hopelessly in love with it. It’s a beautiful suburb full of narrow lanes, grand old pubs, terrace houses, warehouses—it still has a garment district though it’s not what it once was. There are multi-million dollar flats along side housing commission homes. The cashed-up newer residents have yet to drive out the older, poorer residents. There are still students and writers and newly arrived immigrants getting by living in share accommodation. I wrote Razorhurst because Surry Hills is a suburb full of literary ghosts. Ruth Park and D'arcy Niland and Kylie Tennant once lived there. Walking her streets I can’t help but see Ruth Park’s Roie and Dolour Darcy and Delie Stock from The Harp in the South and Poor Man’s Orange. The inhabitants of Kylie Tennant’s Foveaux. Then there are all the ghosts of the once living. Reading Larry Writer’s non-fiction account of crime bosses Tilly Devine and Kate Leigh and their razor gangs in the 1920s and 1930s I discovered that there was a shooting battle around the corner from where I now live, that Kate Leigh used to live a few streets over, that there had once been as many sly grog shops as there are now hairdressers, that almost everything Writer details in Razor happened within walking distance, sometimes spitting distance of my home. Razor gangs had once roamed the streets right outside my study window. I began to see the ghosts of real-life characters like the Queens of Darlinghurst and Surry Hills: Tilly Devine and Kate Leigh who Ruth Park’s Delie Stock was based on. In homage Gloriana Nelson in Razorhurst is also based on Devine and Leigh and on Delie. I hear Delie/Tilly/Kate/Glory’s raucous laughter everywhere. But those ghosts I was seeing were shadowy and indistinct until I came across Peter Doyle’s two collections of Sydney Police photos from 1912-1960: City of Shadows and Crooks Like Us. These photos of criminals, victims, missing persons, suspects and crime scenes are extraordinarily vivid black and white pictures. Now I knew the scars and lines and blemishes on my ghosts' faces, the shapes of their eyes. I knew what the rooms and flats and houses they lived in looked like inside as well as out. My ghosts were turning into characters. I found myself writing Razorhurst. But some of those ghosts resisted that transformation; they remained ghosts. Instead of panicking I embraced it. I’ve always wanted to write a ghost story and with Razorhurst I finally got my chance. Razorhurst is available now, in-store and online. Please join us for the launch at Readings Carlton on Tuesday 8 July. Read more here.